The majority of travel bookings today are done online. 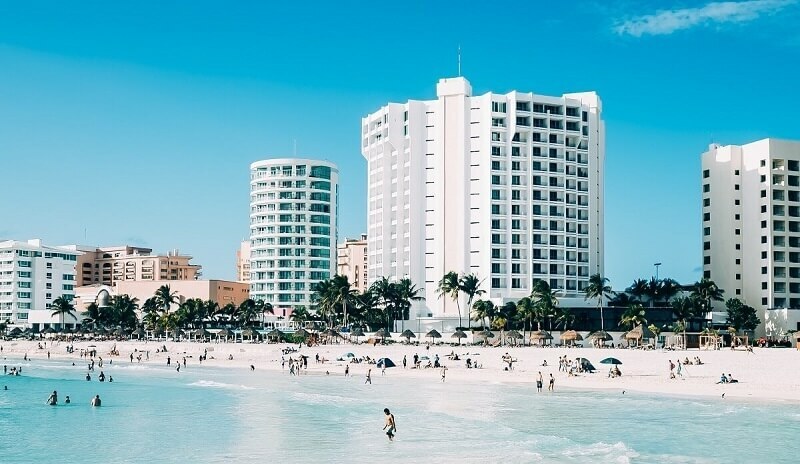 The dramatic shift caused by the internet has enabled small and mid-sized hotels to gain more opportunities to compete in such a robust, internationalised market. Hotels now have to compete not only against each other but also against other online travel agencies. As the customer's demands and behaviours are changing, hoteliers are in dire need of a holistic hotel/ property management system that enables them to complete multiple tasks at one. More than just a tool used for the daily business operation, a property management system needs to evolve to include functions that take care of the strategic side of hotel businesses, too. This has led to the rise of various cloud-based PMS as a more modern and agile tool to tackle the demand from hoteliers. Read more: What does it take to transform the booking experience? A hotel PMS is an all-in-one solution that allows hotel operators to manage their accommodations, booking reservations, room rates, facility maintenance, staffing, and many more. A cloud hotel PMS comprises all of the above functions with the added benefit of instant access via the internet. According to Hospitality Technology's 2017 Lodging Technology Study, 34% of the respondents already migrated their PMS to the cloud. Other 23% have plans to adopt the cloud model in the next 12 months. This is a notable shift, considering in 2015, more than three-quarters of hotels based in the US were still using on-premise systems. But what’s wrong with the legacy PMS? For one, on-premise systems can no longer satisfy the expectations made by modern travellers and hoteliers. In 2016, more than 52% of travel reservations were done online, and 65% of same-day hotel reservations were made from smartphones. Secondly, upgrading and customising a legacy system can be a pain. It can be difficult to find the IT professionals with the right skills and knowledge to troubleshoot problems. This makes hotels susceptible to cyber-attacks. Investing in a PMS in the cloud can help hotels be better at controlling costs, predicting market demands, preparing for business growth, and improving the guest experience. All data obtained can be easily stored, managed, and analysed with a few mouse clicks. Migrating to the cloud seems to be the logical thing to do among hotels regardless of size in order to ensure the hotels are still in relevant amidst the rising of the sharing economy. Hotels need to manage pricing, distribution, payment security, data security, rooms and non-room services, and many more. Furthermore, each function within the hotel uses different systems; thus, they all possess different sets of data. Reservations are stored in PMS; guest spending is collected by the F&B separate POS systems, guest data is managed by a CRM system and is sometimes utilised by a third-party analytics service. Pricing, forecasting, and reporting are conducted via a different revenue management solution as the back office has a very different demand and scope of work from the front office staff. The highly fragmented and outrageous amount of data make integration a critical and urgent task. This puts the software service providers in a tight spot designing one holistic solution with interoperability. PMS platforms can be divided into three types: On-premise, hybrid and web-native cloud. Currently, the majority of hotels have chosen to use a traditional on-premise PMS that is stored in the hotel’s premise and accessible through a Windows software. On the other hand, when compared with the on-premise option, the Hybrid and web-native Clouds allow users to access the data via internet browser and are optimised for mobile and tablet use. The cloud options are a subscription-based pricing model, which is more cost-effective as they are typically charged as a fee per room per month. 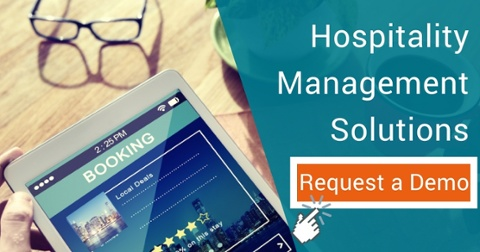 Additionally, PMS on cloud equips both the hoteliers and customers with improved agility and mobile functionalities that connect and tighten the relationship from both ends. With a PMS in place, hotel businesses are now able to elevate the guest experience to a whole new level. The PMS integrates the front desk and back office operations into one single end-to-end solution, improving the visibility and control over revenue, as well as providing higher quality and value for hoteliers. What’s more? Scalability. For seasonal industries like hospitality, customer demand can rise quickly in a short amount of time, hence, hotel operations have to be able to expand accordingly and rapidly, so the potential revenue won’t slip from their hands. Being on the cloud allows organisations to escalate as quickly as possible, with comprehensive capabilities at a much lower cost and in a shorter time—when compared to a traditional on-premise system. Modern travellers expect uninterrupted connection and instant replies to their queries. While at the hotels, these guests also want flawless engagement when requesting housekeeping services, amenity booking, table reservations, or a late night snack. A Cloud PMS is the best mean to satisfy such demands. A typical hotel would use some sort of reservation management software to take care of the guest bookings. A separate point-of-sale machine would be installed for the F&B function. The housekeeping department also uses a different system. All data is then poured into a revenue management system to be analysed for other purposes. At least four different solutions are involved in the day-to-day operation. Most of the time, these systems do not “talk” to each other, making it difficult for key decision-makers to draw valuable insights and make timely decisions. Cloud PMS offers effortless integration with other key systems, such as reservations management (RMS), customer relationship management (CRM), point-of-sale (POS), and amenities management solution. More than just providing consistent services day-after-day, seamless integration of all key systems create an abundant amount of data where hoteliers can mine, analyse, and provide personalisation exactly the way the customers expect you to do. Traditionally, hotels need to purchase servers for all the data obtained and put those servers in a data centre. The data centre needs a cooling system, electricity and a dedicated IT team to maintain everything. These elements can crank up the organisation's expenses. Cloud-based solutions can mitigate these costly expenses due to the simple fact that no physical data centre is required. All maintenance, upgrade, storage is done in the cloud. In addition, hoteliers don't need to recruit teams of IT professional to take care of all the technical aspects, the software service provider can do all that on behalf of the organisation. What's more, hosting the hotel's IT infrastructure in the cloud offers the flexibility to scale up or down in an instant. The pay-as-you-go pricing can enable the hotel to keep all expenses in check, increase capacity during peak seasons and keep everything low during downtime. Cloud is a more affordable option for operators who seriously consider putting a PMS in place but couldn't. The pay-as-you-go pricing model is much more manageable than the hefty upfront investment of implementing the traditional system. When hotels are faced with natural disasters that heavily damage the physical data centres, it will take a seriously long time (not to mention, tons of money) to get them up and running again. With Cloud PMS, all data is unaffected. Furthermore, contrary to popular beliefs, the cloud is much more secure than on-premise as upgrades, and security measurements are frequently assessed, monitored, and updated. Even in the most unfortunate case, the entire management system can be recovered quickly and function properly in no time. "Top-tier providers that we use like AT&T, Microsoft and NaviSite will spend more in security then I would spend on my entire IT budget." Cloud PMS essentially allows web-based access via any device at any time as long as the Internet connection is stable. The benefits gained from adopting the cloud model are broader than just increasing the hotel’s revenue, streamlining operations, or boosting productivity. Cloud PMS can link to the vast network of connected devices to attract even more data which is then fed to the built-in business intelligence application. The result is a deep look into the mind of the consumers to create the ultimate guest experience. To be able to draw out quality insights in mere minutes is impossible via an Excel spreadsheet. Looking for a modern, cloud-based Hospitality Management Solution for your business? Check out what TRG has to offer by requesting a free demo today!